Thanks for visiting our booth last week at CommunicAsia. It was a great opportunity to reconnect with our global partners and to make new ones in the Asia-Pacific region. 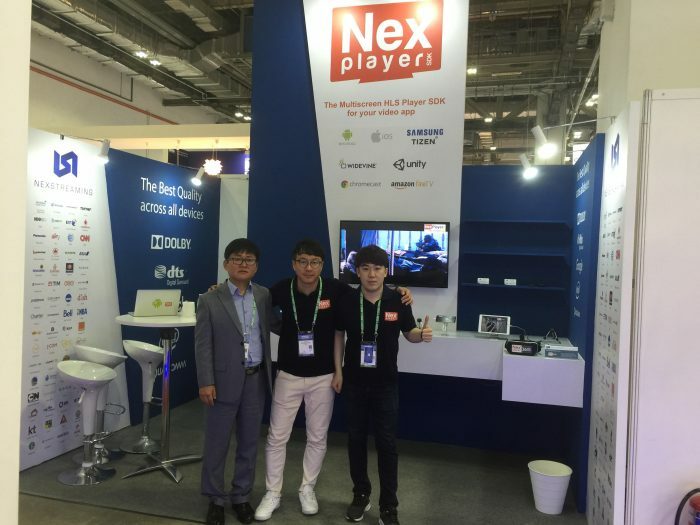 Visitors could enjoy our live streaming and VR demos as well as learning about the latest features of NexPlayer and new products such as NexPlayer Secure, our HLS player integrated with Widevine DRM for content encryption across all Android and iOS devices. Next stop: TechXLR8 London!